Rev. 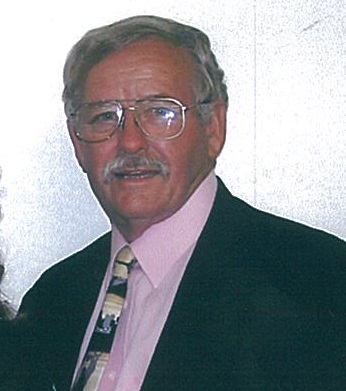 Eugene Albright, 74, of Lake City, passed away peacefully at his residence Sunday evening, February 3, 2019 after an extended illness. He was born in Logan, West Virginia on November 27, 1944 to the late Edgar and Daisy Nelson Albright. He has been a lifelong resident of the Lake City area and was a member of the Lake City Church of the Nazarene. He graduated from the Nazarene Bible College in Colorado Springs in 1981, from there he went to serve as the Associate Pastor at the Trinity Church of the Nazarene from 1983-1989, and also served as the Minister of Music at New Beginnings Church, and was an ambassador for the Gleaners Dispatch association in Jacksonville. He was also a partner in the Albrights Mobile Home Service and in his spare time enjoyed tinkering with cars and fixing stuff. He loved his family dearly and would do anything for anyone. He is preceded in death by his loving wife Judieth Albright in 2006 and his great-grandson, Gabriel Edmonds in 2008. He is survived by his loving children: David Albright (Pauline) of Lake City, Gena Lilly (Chris) of Lake City, Cyndi Albright of Murfreesboro, TN and Wendy Edmonds (Homer) of White Springs; siblings, Paul Albright, Ida Mae Taylor (Rev. Ulis) both of Lake City, Pauline Corbett (Jerry) of Live Oak, Juanita Harden of Providence and Sherry Gail Palmer (Harry) of Spring Hill, FL. Twelve grandchildren, fifteen great-grandchildren along with numerous nieces and nephews also survive. Funeral services for Rev. Albright will be conducted on Saturday, February 9, 2019 at 11:00 A.M. in the Lake City Church of the Nazarene with Rev. Dave Fountain officiating. Interment will follow in the Forest Lawn Memorial Gardens Cemetery. The family will receive friends from 5:00-7:00 P.M. on Friday evening, February 8, 2019 at the funeral home. In lieu of flowers, the family asks that donations please be considered to the Haven-Suwannee Valley Hospice Care Center, 6037 W Us Highway 90, Lake City, FL 32055.